Norwich are hot on the trail of highly-rated Aston Villa striker Andreas Weimann, whose contract talks with the Villans have reached a stalemate. 21-year-old Austria international has delivered a series of excellent performances this season, scoring 11 goals for his club. Weimann’s contract is due to expire next year, and several clubs are said to be closely monitoring the situation, which means Aston Villa may be forced to part ways with the talented forward, should they be relegated this season. The Villans are currently three points above the relegation zone with 8 games to go. Norwich are considered the favorites to land the player. 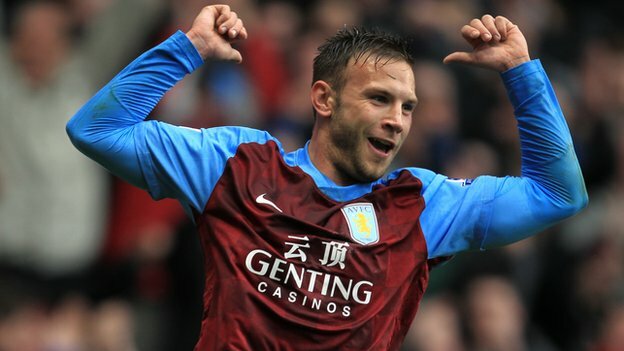 They have switched the attention to Weimann, after failing to sign Gary Hooper from Celtic in January transfer window.